One of the guideline policy that Parse created was to try to make everything convenient for their users and that was one of the main reasons developers loved the service. SashiDo’s team wants to keep this tradition by providing our customers the same experience of comfort and effortless coding. I’m sure this happened to you: you get an order for an app, but the customer also wants a website with it. So you have to use one provider for the mobile application, another for the website, deal with web hosting and sftp servers, domain name registering etc. Wouldn’t it be lovely to have everything in one place? In this tutorial we’ll show you how to publish static web sites in few simple steps. 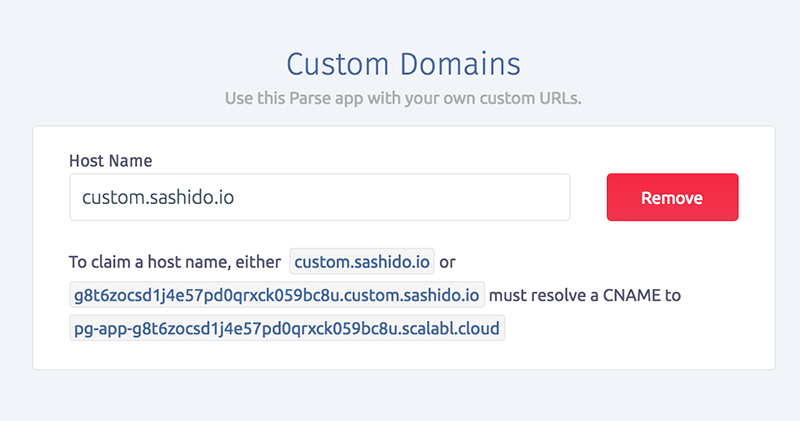 When you deploy Cloud Code in your GitHub repo, any files in your directory ‘public’ is uploaded to Parse Server and becomes accessible online. You can choose a subdomain in their app settings. Enter the wanted subdomain + mysite.com in the input, don’t press ‘Save changes’ yet. By entering the subdomain’s name you’ll see host names to resolve the CNAME. Now you have to claim the new host name. Go to your DNS provider and set up a new CNAME record. Go back to SashiDo’s Dashboard and now save the changes. Now go to your new domain and see how the website just came alive for the web. We can’t wait to see the amazing sites you’ll create and host on SashiDo.